1. He spent 286 weeks at no. 1, the 2nd most of any player behind Federer. 3. Sampras won 20 of the 34 matches he played against Agassi. 5. 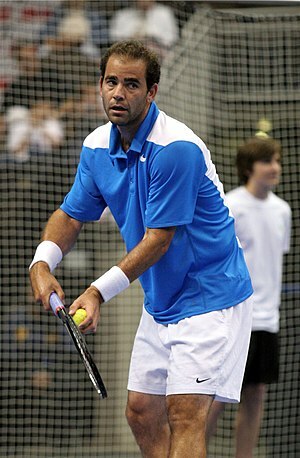 Sampras hasa genetic trait that sometimes causes mild anemia. 8. Sampras is the only male player to win the same Grand Slam tournament (Wimbledon) 7 times in the span of 8 years.